The two free agents of Olympiacos are among the targets of Barcelona, which needs fresh faces with strong character in its roster for the upcoming season. 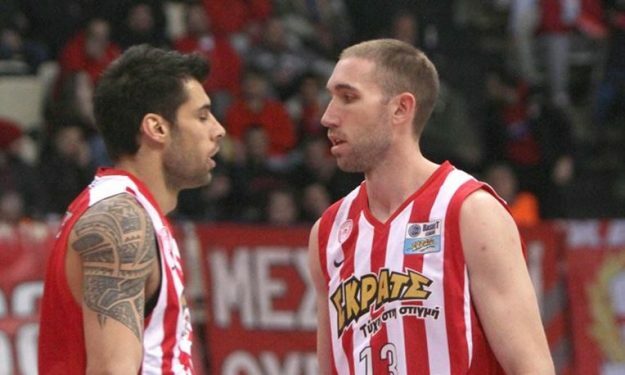 Despite the fact that Giorgos Bartzokas is on his way out, Barcelona wants to of his former players in Olympiacos. As Spanish newspaper “Mundo Deportivo” reports, a player with Printezis’ abilities, character and mentality is missing from Barca, however getting Printezis away from Greece at this point can be considered a long shot. On the contrary, Mat Lojeski who is also a free agent, can end up playing for the Spanish powerhouse, who will part ways with Brad Oleson and needs someone like “Lojo”. The fact that the player has also a Belgian passport make him even more attractive due to the rules about natiolity limits on the Liga Endesa rosters. Barcelona had tried in the past to lure Vasilis Spanoulis away from Olympiacos, but despite making a solid run at him, couldn’t sign him. The Printezis scenario may end up having many simularities with Spanoulis’ case.